Greenleaf Book Group Press, 9781626344334, 312pp. This book will help readers be brave. ​While we may think that we need to follow some kind of prescription to get results, the most amazing leaders are those who dare to be their true selves, powerfully. People want to give them their best. But in a business world that's so competitive and uncertain, how do you connect with others more authentically to tap into their illusive want? On a quest to make these powerful conversations more accessible, professional-actress-turned-leadership-educator Kimberly Davis shares the transformative tools she uses in her workshops to help thousands of leaders worldwide. 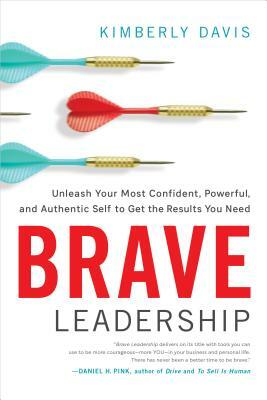 Drawing from years of working with leaders of all experience levels and industries and the latest research in psychology, sociology, business, and the arts, this provocative and inspiring book bridges traditional business how-to with a personal development approach to demystify what it takes to be the brave leader you were born to be. An expert on authentic leadership, Kimberly Davis teaches leadership programs worldwide. Most notably is her OnStage Leadership program, which runs in New York City and Dallas, Texas, as well as in organizations across the nation. She currently teaches at Southern Methodist University's Cox School of Business' Executive Education Program and partner with Southern Methodist University in teaching for the Bush Institute's Women's Initiative Fellowship program (empowering female leaders from the middle east) and for the National Hispanic Corporate Council.